Incorporated in 1972, the Center provides full-time quality childcare. for 45 preschool children ages three to five and 45 school-age children grades K-6. The program is NAEYC accredited. 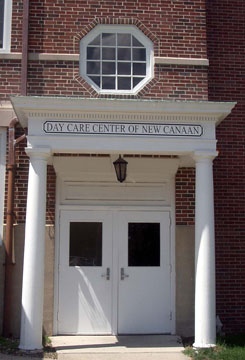 The Day Care Center of New Canaan is a non-profit 501(c)(3) agency. 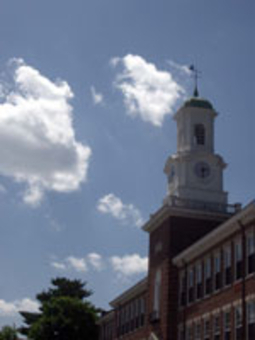 Located in a former school building the Center was remodeled in 1992. 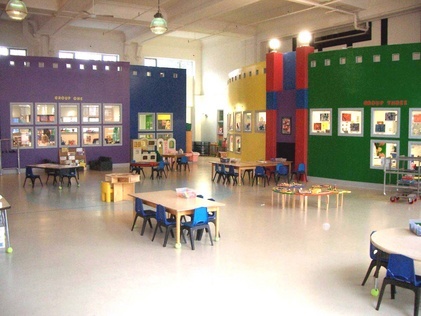 Both the preschool and schoolage programs have ample indoor and outdoor space for the children to play. Nestled in the old gymnasium/auditorium the preschool classrooms resemble a little town with a courtyard in the center providing children with a large indoor play space. 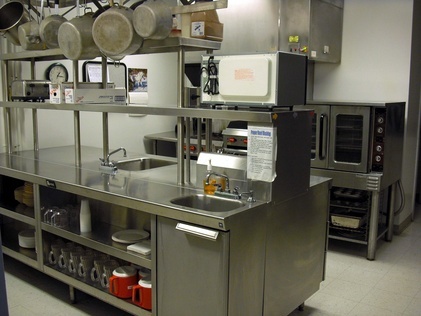 Our preschool program provides breakfast , lunch and afternoon snack daily. Meals are prepared on premisis by our own Chef Margo. The school age program serves afternoon snack daily. 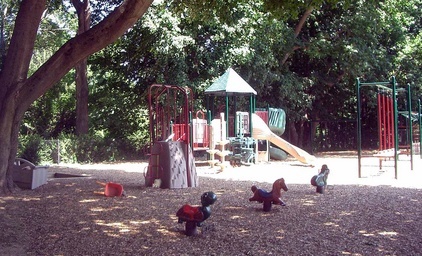 Our outdoor playspace has a wonderful assortment of areas for children to play and explore. We have gardens, hills with rocks, climbing structures, a black top for basketball and trikes, a field and a sandbox. Weather permitting the children go outdoors everyday.